Hello, friends! 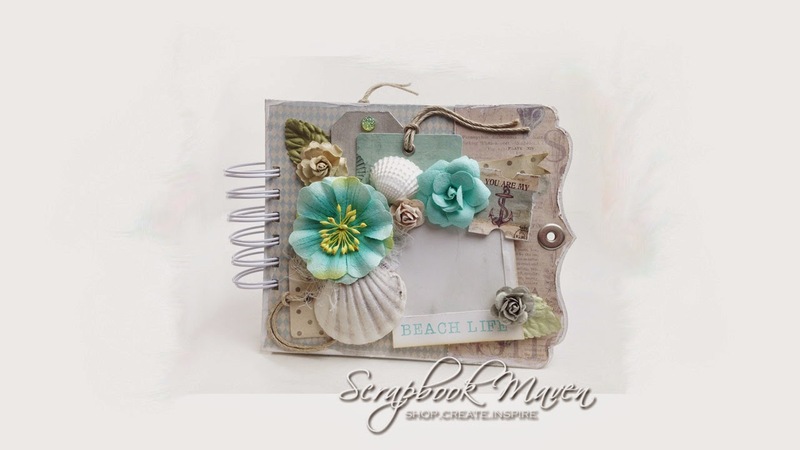 I have a Mini I would like to share using Prima's Seashore Collection. 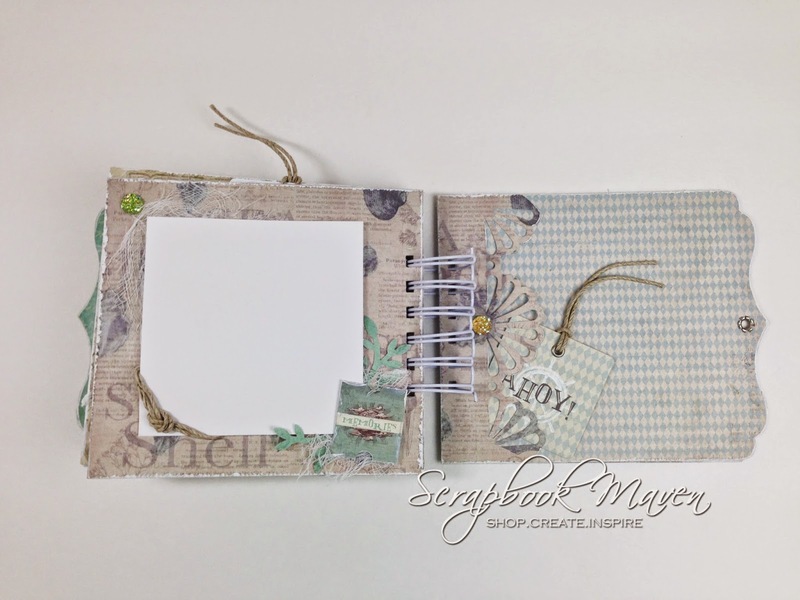 I was so happy to offer this as a class and the ladies really enjoyed making their albums and were so pleased with the final product! 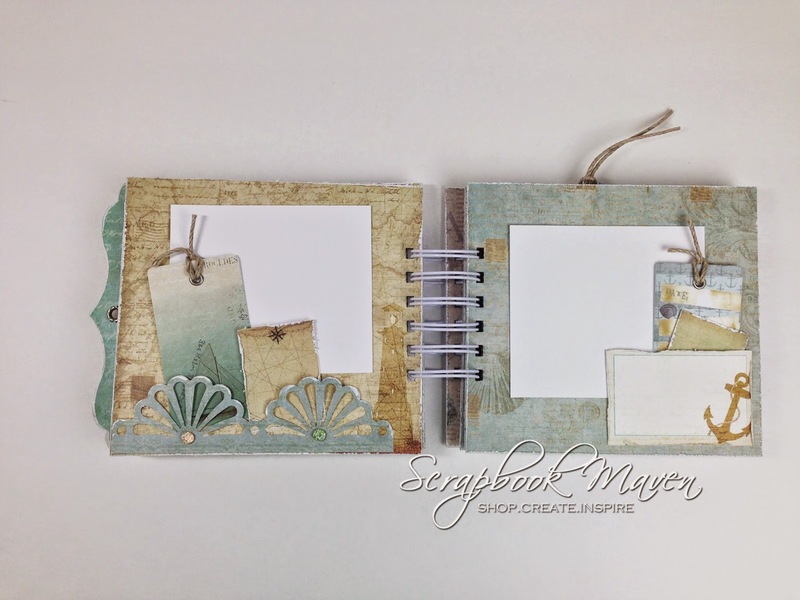 For anyone interested, I have a few Kits left for sale at Scrapbook Maven. 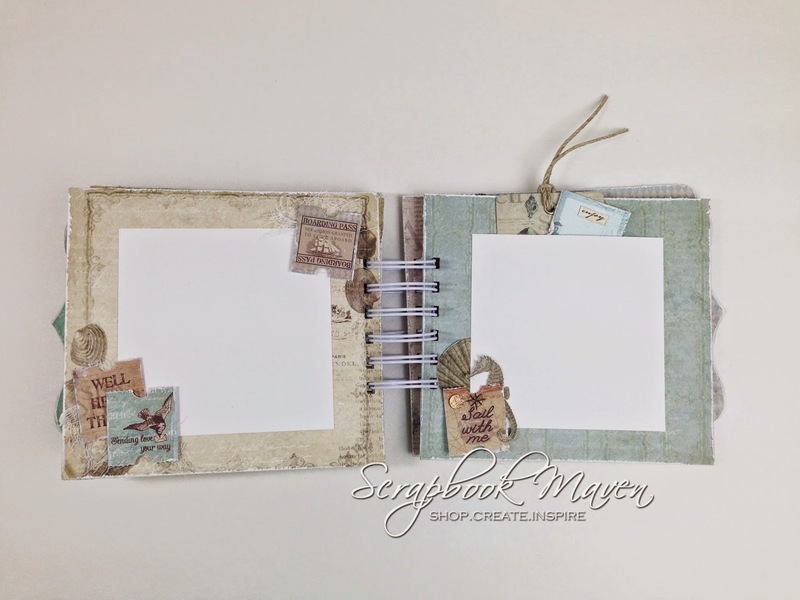 With the holiday season coming up I thought it would make a wonderful gift to make to give non scrappers an album to put summer vacation pictures or any beachy memories. I have made a video to walk you through the album. 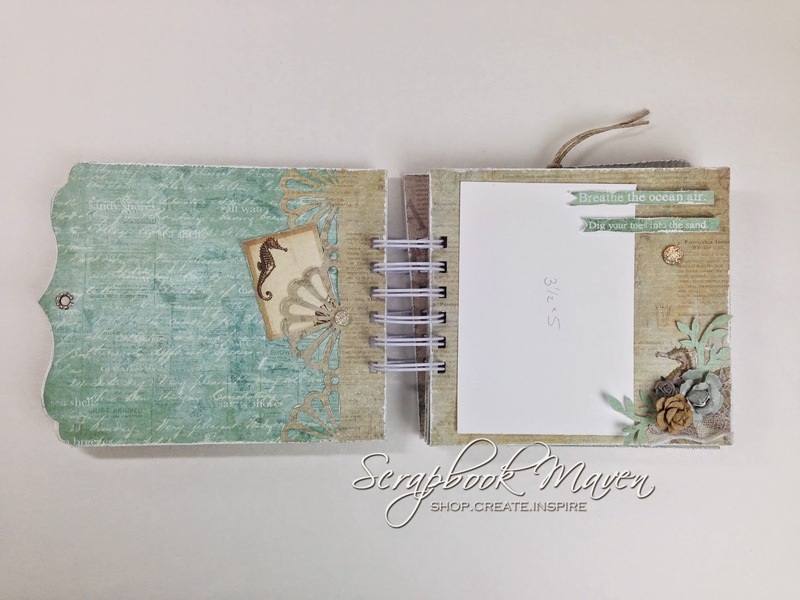 If for some reason you cannot view the video on this blog, you can also find it on my YouTube Channel, Scrapbook Maven. 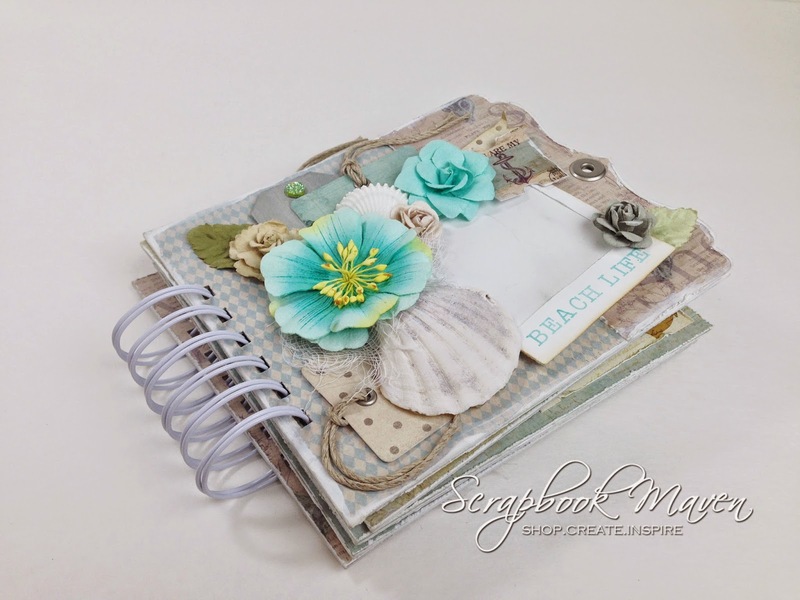 It is so pretty... Love the colors and design, Danielle. :) Great job! 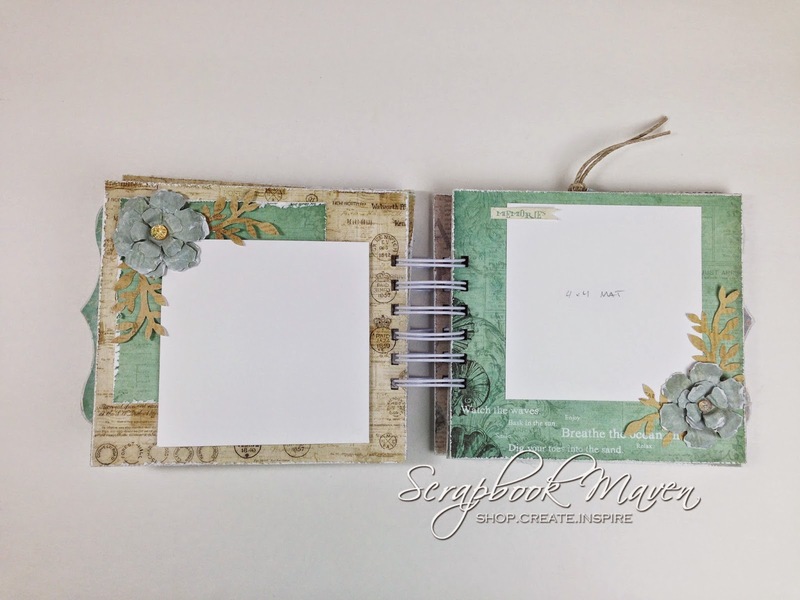 What an amazing gift to receive when given.